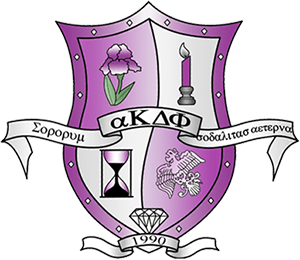 To promote unity among minority Greek organizations at the University of Washington, and provide a united governing body for these organizations. UGC offers opportunities to build community relations, gain cultural awareness, and promote academic success. 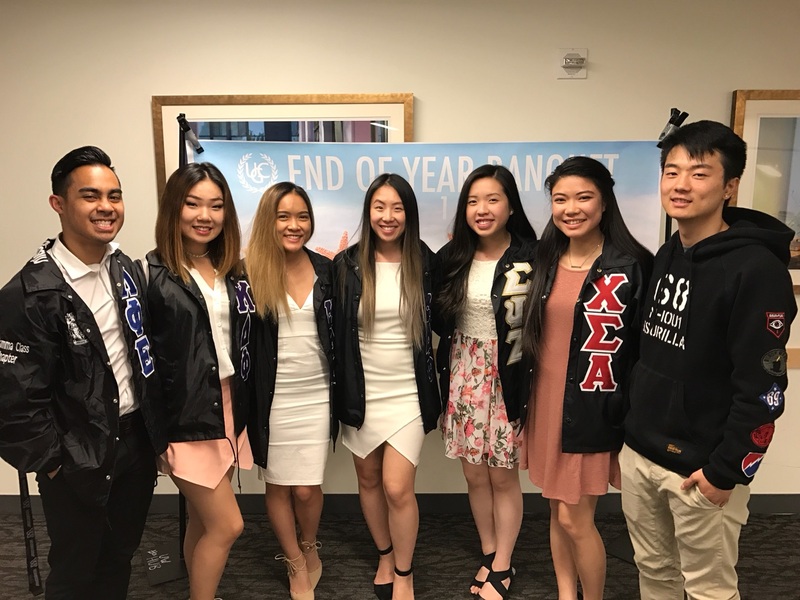 Established in 2002, the United Greek Council (UGC) aims to unify historically underrepresented chapters on the UW Seattle campus and continues to do so today. Unlike traditional IFC or Panhellenic fraternities and sororities that mandate their membership to reside in furnished houses on Greek Row, UGC’s relatively young status at the University of Washington justifies why many chapters do not have permanent residences. 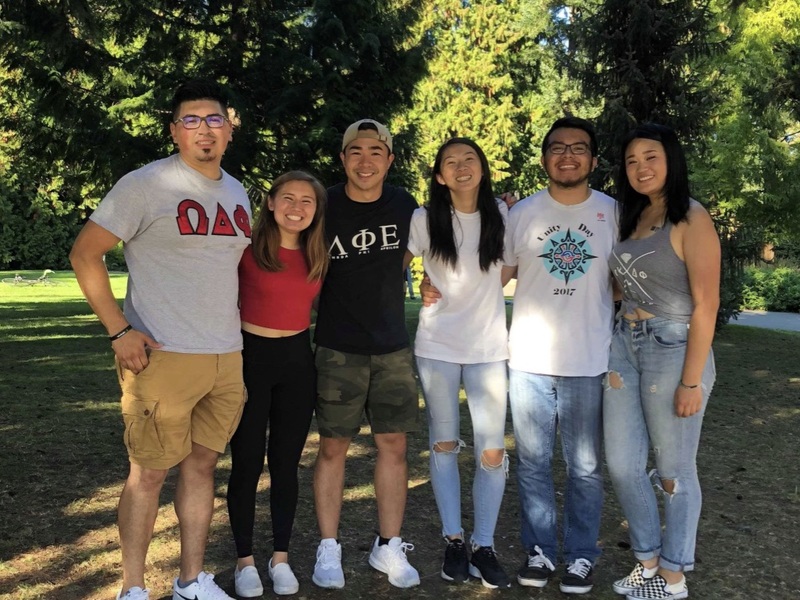 Yet, through numerous social calendar events throughout the year, UGC organizations strive to promote an active campus presence while demonstrating the power of unity among multicultural Greeks with the wider Greek and UW community. 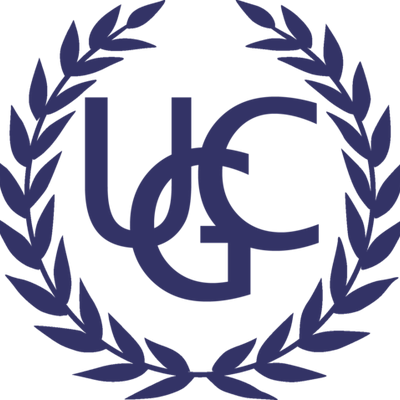 In the years since the establishment of the council, UGC is now home to twelve active Greek organizations that span across Asian, Latino, and progressive interests. Built upon the three pillars of Community, Culture, and Academics, members of UGC continually display qualities symbolic of these, while representing the excellence of their respective chapters. As the council expands in size, the United Greek Council will continue to provide a safe and inclusive space for the expression of diverse opinions and meaningful social relationships. As a member of an organization under the United Greek Council, we expect all individuals to thrive and impart the foundations that this council is built upon. 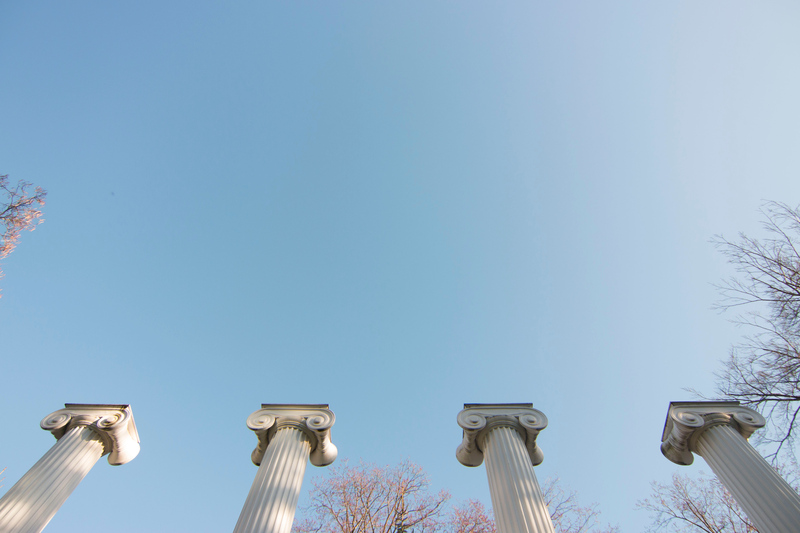 Our three Pillars are what we hope to be reflected in the people of our community, to ensure that as Greek Organizations, our values remain just as strong. Through these, members of the United Greek Council have demonstrated their dedication by attaining several notable accomplishments. See their achievements here. The United Greek Council strives to provide all of our members with a home-away-from-home. Through this, despite our diverse cultural backgrounds, the United Greek Council promotes a message of unity amongst our campus, while creating endless bonds between our organizations. Through the celebration and promotion of cultures, the United Greek Council prides itself over the cultural pride that our members possess. Our council provides the support and resources that each organization needs in order to spread more cultural awareness on campus, while embracing the individuality of each individual. The United Greek Council is composed of highly motivated students with countless dreams and passions that inspire the motivation to succeed. With this environment, each member of our council has the resources and support to aspire to reach beyond these goals and build a platform of networking and communication. 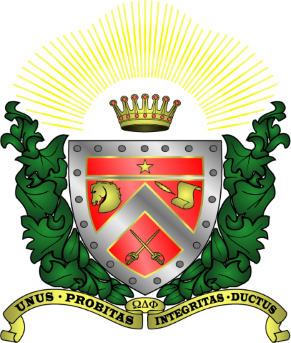 Gamma Alpha Omega National Sorority, Inc.
"Latin By Tradition Not by Definition"
Omega Delta Phi National Fraternity, Inc.
"Opportunity for Wisdom, Wisdom for Culture"
At one point in time, these organizations have been affiliated with the United Greek Council at the University of Washington. The Executive Board of Directors (EBOD) work behind the scenes to aid the efficient operations of UGC while representing the entity as a whole. Officers are involved with a variety of multidisciplinary efforts that include creating and executing programs and events to serve UGC, maintaining chapter dues and budgeting, representing the council at workshops or events, working with the OFSL office and other Greek councils, or keeping a strong presence through marketing and social media. Durnig Spring quarter of the academic year, each position is open to all members within UGC who are interested in broadening their leadership capabilities by taking on roles that will enable them to dive further into the world of Greek administration. Once elected to the Executive Board, members will go through a transition period with outgoing officers to ensure an efficient handover process. Being on the Executive Board allows Greeks to represent their houses while creating positive change that can benefit both their chapters and UGC as a whole. Be sure to look out for more information on elections as the academic year progresses! Expand your UGC experience with opportunities to network, engage, and learn more about how Greek communities are overseen and maintained at the University of Washington. Current UGC members passionate about leadership, personal development, networking, or an interest in Greek and council operations are highly encouraged to apply. Delta Kappa Delta, Joins UGC! 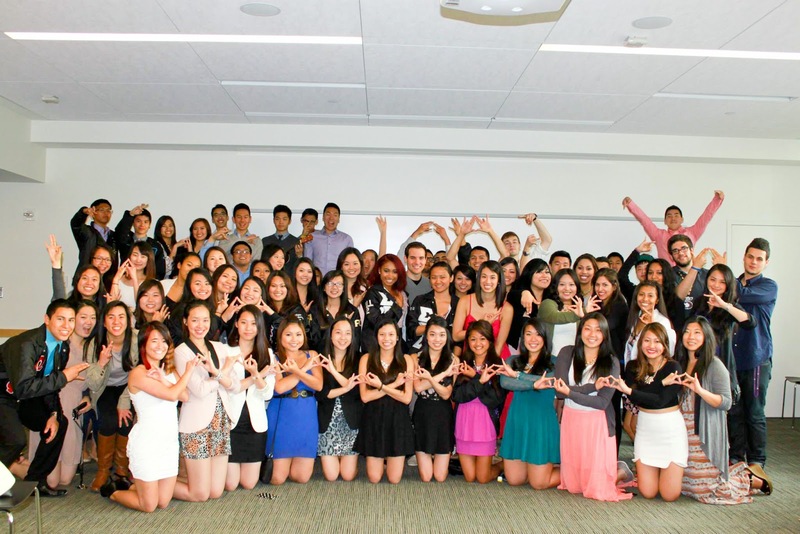 Delta Kappa Delta is a South Asian Interest, service based sorority. These girls have spent the last quarter transitioning into the United Greek Council, and have worked so hard to show us that they are individuals that are filled with passion and dedication. Through their endless efforts to be involved in this community, the United Greek Council would like to formally congratulate all of these wonderful ladies, and anticipate amazing things to come. Thank you for enumerating all the values that the United Greek Council works so hard to uphold, and we all look forward to many years to come! To find out more about Delta Kappa Delta, visit their National and UW-affiliated sites linked in the Chapters page! 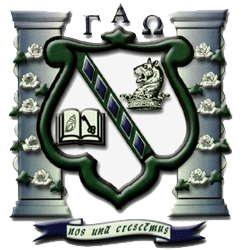 Congratulations to all members of the United Greek Council, with the affiliation with the Office of Fraternity and Sorority Life! With this affiliation, there are many questions and concerns that may arise. This post is to help guide those that still may be uncertain about certain principles of this affiliation, as well as serve as a reference for future council members to come. What is the Affiliation with the OFSL? 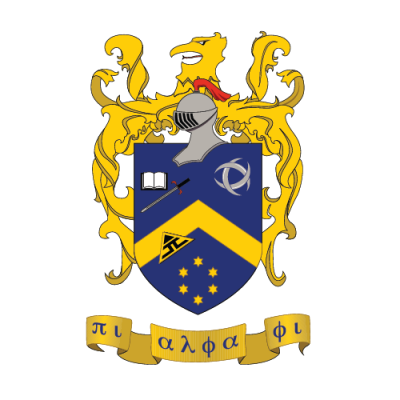 We are exploring the possibilities of integrating into the Office of Fraternity and Sorority Life -- an office and home to Greek councils on campus such as Interfraternity Council (IFC) and Panhellenic Council. We are not, however, integrating/merging councils with IFC and Panhellenic. From now, we will refer to this as an association with the OFSL. Recognition Agreement requirements are not mandatory as part of the association. This includes sexual assault/substance abuse educational programming, registering events, insurance, etc. It is optional for organizations to sign and abide by the Recognition Agreement. If an organization chooses to abide by the agreement, you will receive full advising services by our director, grade calculations, and access to incoming freshmen contact list. If not, you will receive limited advising services. What Are Some Benefits to This Affiliation? 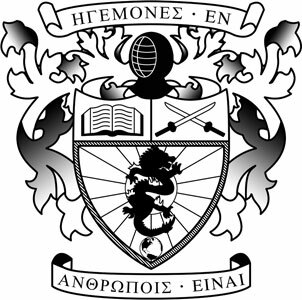 They advise United Greek Council only, in comparison to the many other organizations SAO Advisers advise. Their sole focus is United Greek Council and thus their goal is to champion us, push us to be better, and see us succeed. They do more than what our SAO Adviser could do for us! 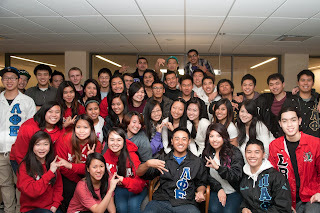 Advisors are trained and experienced in advising Greek organizations. They attend retreats, conferences, and more to learn how to better advise us. Advisors can also serve as the liason for our applications for funding! Many of our aspiring ideas lack in terms of financial support, and having an advisor will greater aid us in receiving this funding, as well as implement our seat at the table for greater campus presence! Directors of OFSL as well as University staff will become more aware and knowledgable of UGC. This means they can advocate for our council at events, meetings and more. The more people, entities on campus and the community know about us, the more collaborations and large-scale events you can expect from UGC. An advisor and support from the OFSL can provide a more seamless transition between outgoing and incoming EBOD via institutional knowledge. Intimate advising offered by our advisor and directors of the OFSL can help drive our mission and ensure we are actively working towards a goal 5, 10, even 20 years later down the line. What Are Some Drawbacks to This Affiliation? The United Greek Council Executive Board of the 2017 - 2018 school year, would like to greatly thank everyone that made this possible. 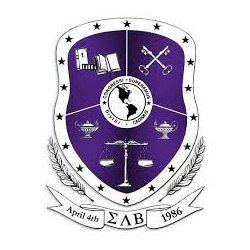 We have worked extremely hard into making this affiliation happen, and are greatly anticipating the achievements that the future Executive Board's will bring to the table. There will definitely be some projected hurdles that must be overcome in the upcoming years, but this will only provide growth and education to our community, and will prepare all of us for the growth and longevity of this council that so many of us call home. We greatly appreciate the hard work and dedication to those that advised us, as well as those that have actively contributed to the conversations that grew this relationship between the OFSL and our council. We are anticipating great things, and are so excited for the future! We, as the United Greek Council, would like to congratulate all of the newly admitted students to the University of Washington! This is a beginning that will foster new paths and amazing opportunities that will aid your journey towards a fruitful career. In support of this, the United Greek Council has a multitude of organizations that possess the resources, in order to promote the growth of leadership, academic excellence, and networking. Although we are a council that strengthens the qualities of professional development, the United Greek Council is built upon the friendships, memories, and bonds, that last a lifetime. Proudly serving thirteen different organizations, the United Greek Council encourages you, to come and see what we have to offer! Although the University of Washington offers a diverse and accepting campus, strong cultural voice is always necessary in order to preserve our unique identities. All of our organizations are non-exclusive to the culture that we are spreading awareness for, and encourage everyone to come out and to find a community for themselves that they might not find in a traditional fraternity or sorority. Recruitment is a period where potential new members have an opportunity to learn about each respective house, and meet the active members! This is your chance to see if Multicultural-Greek life, is right for you. 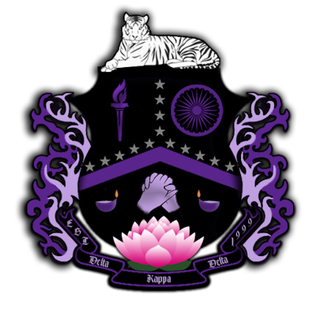 There are thirteen different organizations, each with their unique purpose and morals, and recruitment is the time where you have a chance to find out if one of these amazing houses, are right for you. The recruitment period varies by each of our thirteen organizations. Each organization has a period of promotion leading up to recruitment week, with specific dates and locations. To find out more information, and tentative dates, check out the list below! Congratulations to the Newly Elected 2017-2018 Executive Board! We would like to announce that the United Greek Council will be endorsing Every Husky for the upcoming elections for ASUW! These eight individuals believe that "EVERY Husky deserves to feel safe, respected, and deserving of the education they were promised when joining the University of Washington community. The Association can be a phenomenal tool for leveraging the student voice to bring about change: with administrators, across Seattle, and in Olympia. That takes both ambition and perseverance, and only together can we make the University a better place for the students who call it home. Only together can we put the YOU back in U.W." Be sure to check them out on Facebook and turn your votes in on May 11, 12, and 13! Pi Nu Iota Joins UGC! With Winter Quarter drawing to an end and students preparing for their final exams, the United Greek Council would like to conclude this quarter by happily announcing and welcoming a new chapter to the council: Pi Nu Iota Sorority! Also known as the Ates, Pi Nu Iota aims to provide a strong and supportive sisterhood that promotes leadership, diligence and strength. 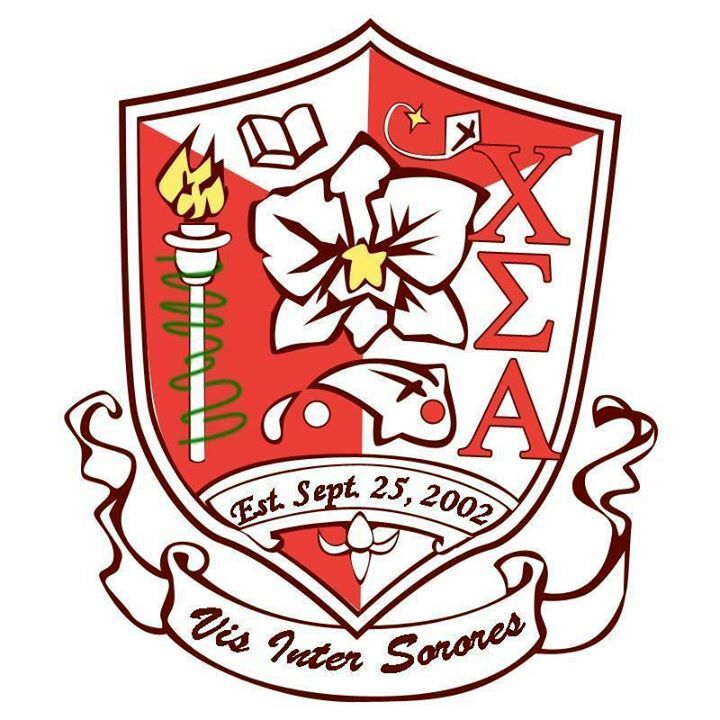 The sorority encourages its members to further their personal growth through academic excellence, cultural awareness, community service and female empowerment. 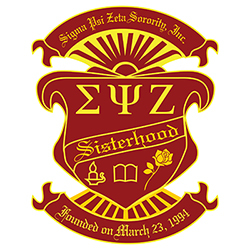 The Sisterhood known as Pi Nu Iota was officially founded on May 15, 2005 by eight Founding Mothers between the campuses of University of Washington and Seattle University. The purpose of the Sisterhood of Pi Nu Iota shall be to fortify the Filipina through academic excellence, community service, cultural awareness and female empowerment—their four pillars. As Ates (older sisters) of PNI, their mission is to provide a strong and supportive sisterhood that promotes leadership, diligence and strength while continuously upholding PNI’s pillars and investing in their philanthropy of children’s literacy. The care and dedication that founded this organization has materialized into a movement that strives to unite Filipina Sisters in the efforts to discover our strength as women, as well as Filipinas. PNI also organizes many events and activities amongst its members. 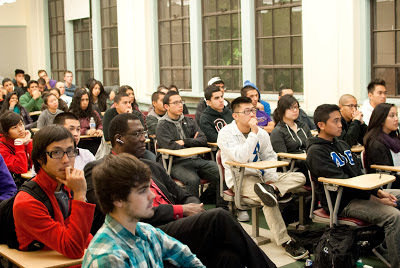 Fall Rush events begin in fall quarter, and leads into the pledge process, which takes place over the entire year. They are also actively involved in NWFASA (Northwest Filipino American Student Alliance), where sisters participate in monthly meetings among Washington/Oregon Filipino organizations and attend NWFASA Conference in spring. Every May, the active and alumni Ates celebrate their Founding Week with daily activities throughout the week and a dinner celebration to end. PNI also host socials to bond with friends in the community. The sorority host barbeques, bonfires, and holiday dinners. Lastly, PNI makes an effort to plan Ate retreats and trips throughout the year to maintain their friendship and sisterly bond outside of PNI business. 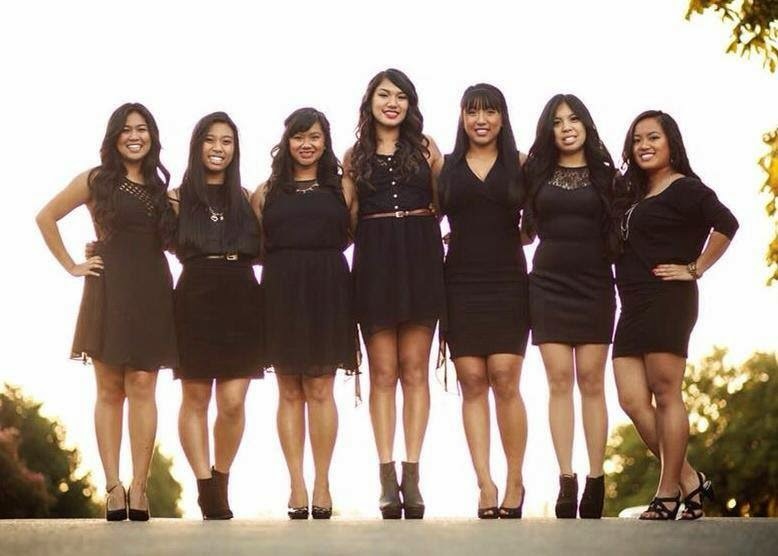 The PNI Sisterhood joined the United Greek Council because of the great inclusive community it provides. UGC is a great way to create relationships with other cultural organizations on campus and PNI is seeking that sense of community and support. 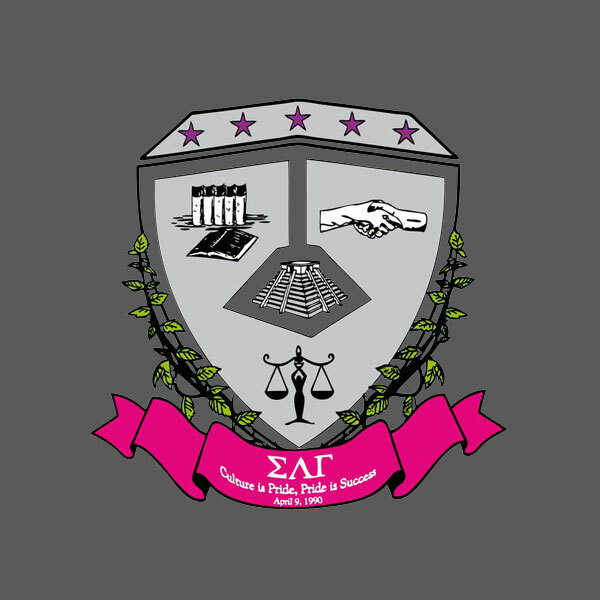 The Ates hope to not only network within UGC and utilize the opportunities offered, but also support their brother and sister organizations and contribute to both the UGC and overall UW community. 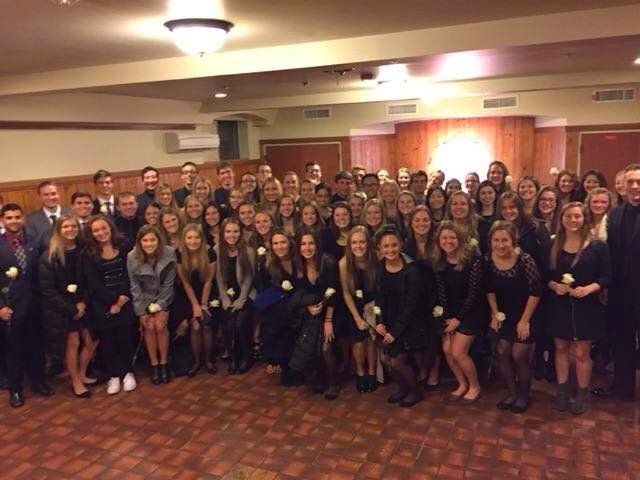 The University of Washington's Epsilon Epsilon Chapter of Order of Omega initiates 63 high-achieving Greek members into the Order of Omega for Fall 2014! Congratulations to Sunishchal Dev from Sigma Beta Rho Fraternity, Incorporated for representing the United Greek Council in this remarkable accomplishment. The Order of Omega recognizes the top 3% juniors and seniors in each institution who have exemplified excellence in the areas of scholarship, leadership, involvement within their respective organization and within the greater Greek community. 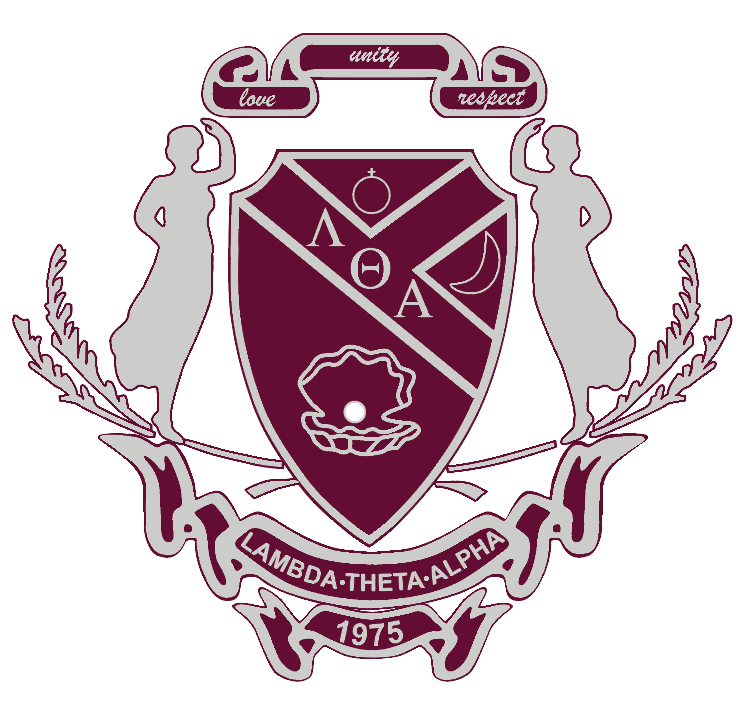 To date, over 500 chapters have been chartered throughout North America, each sharing the common goal of recognizing the many outstanding student leaders at their institution. UGC officers coordinated an end-of-the-quarter potluck social that involved the culinary arts of each house within the council. Although the event was held towards the end of "dead week" at the University of Washington, the potluck was well-attended with over 100 multicultural Greeks. Held in the Husky Union Building (HUB) Games Area, members mingled among houses through various games like foosball, table tennis, and pool. This event was a great opportunity for newly crossed members to meet other students with the greater Greek community. Interested in holding your next event at the Husky Union Building? Visit their website for more information on making facility reservations. Don't forget: the United Greek Council office is located in HUB Sub-Basement 284 if your organization needs additional storage space. All seats in the room were packed from members of each house at our annual risk management workshop. Greeks from the National Pan-Hellenic Council, Inc. at the University of Washington were also in attendance for this collaborative joint seminar — at University of Washington. 1.5 million high school students are hazed each year; 47% of students came to college already having experienced hazing. Alcohol consumption, humiliation, isolation, sleep-deprivation, and sexual acts are hazing practices common across all types of student groups. 40% of athletes who reported being involved in hazing behaviors report that a coach or advisor was aware of the activity; 22% report that the coach was involved. 2 in 5 students say they are aware of hazing taking place on their campus. More than 1 in 5 report that they witnessed hazing personally. Workshop hosted by Brenda Vasser, alumnae member from Alpha Kappa Alpha National Sorority, Inc.
We welcome all inquiries. Fill out this form with any questions, comments, or concerns you may have and our officers will get back to you as soon as possible. Copyright © 2019 UW United Greek Council. Created By Premium Blogger Templates. Credits to Bryan Dosono, Rey Matsunaga, CJay Hon (ΛΦΕ) and Ashley Djohan (ΣΨΖ).